Last weekend some of my family and I went bowling as a way of spending Mother’s Day together. It’s something that I always enjoyed doing as a child and then started enjoying less as a teenager, because I became more are more self-conscious about having to play by pushing the ball down a ramp. I often felt like I wasn’t properly taking part, or like as I was cheating by not actually throwing the ball. I hadn’t been for many years and now that I’m a bit older I didn’t care about not actually being able to chuck the ball down he alley for myself because I can appreciate that there is still an element of skill to having to line everything up right and push the ball with the right amount of speed. How many will I knock down? My family all took turns at moving the ramp from the side of our lane into the centre for me and put my choice of ball at the top. I did the last bits of final adjustment and managed to keep the ball steady at the top while I put everything just as I wanted it and hoped for the best. I had far much more fun taking part than I would have done if I’d chosen to just watch. 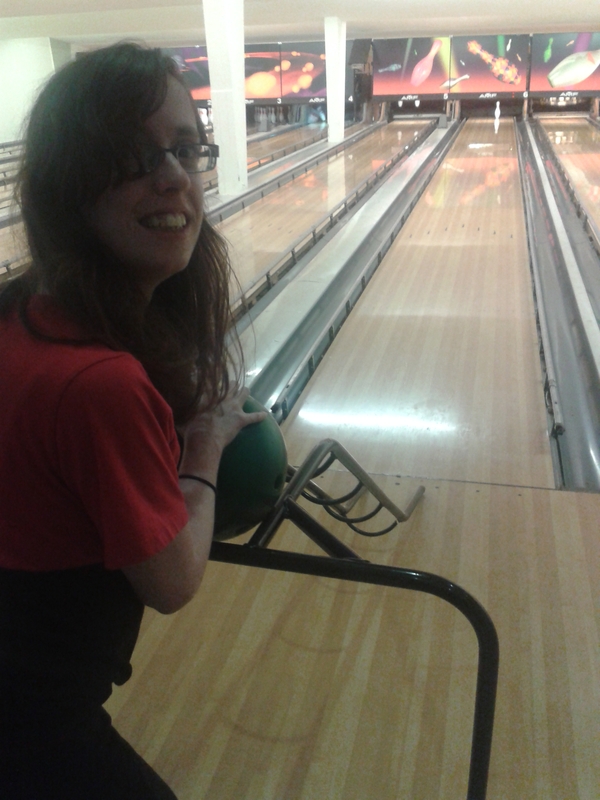 and was pretty pleased with myself when I managed to get a few strikes. Oh, and just in case you’re wondering, I even managed to win one of the games. 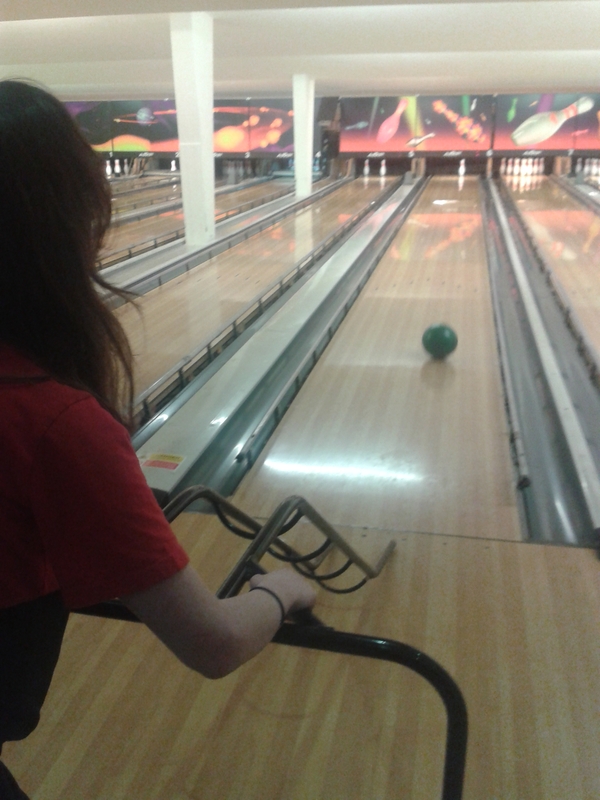 I love bowling! I haven’t been in awhile though. I use the ball ramp too and it’s definitely harder than it seems. Can’t seem to get the speed needed on the ball still I have fun and managed a current high score of 94. My goal is to break 100. What’s your high score? The other day I think I got 112 or something like that. I tend to go for a heavier ball and aim the ramp slightly to the left because the balls always seem to veer off to the right for me.